In 1984 a Dutch scientist walking through forests in Sri Lanka saw a pair of short human-like creatures covered all over in dense fur - the Nittaewo. But does the animal really exist? Since at least 300bc visitors to Sri Lanka have been reporting sightings of an “ape-man”, a creature that looks like an ape but which walks upright like a human. The descriptions of the beast have been consistent - 4 feet tall, muscular shoulders, body hair and a human voice. But scientists have dismissed the creature as a fantasy based on folklore and myth. A lack of hard evidence undermined the case for the Nittaewo. 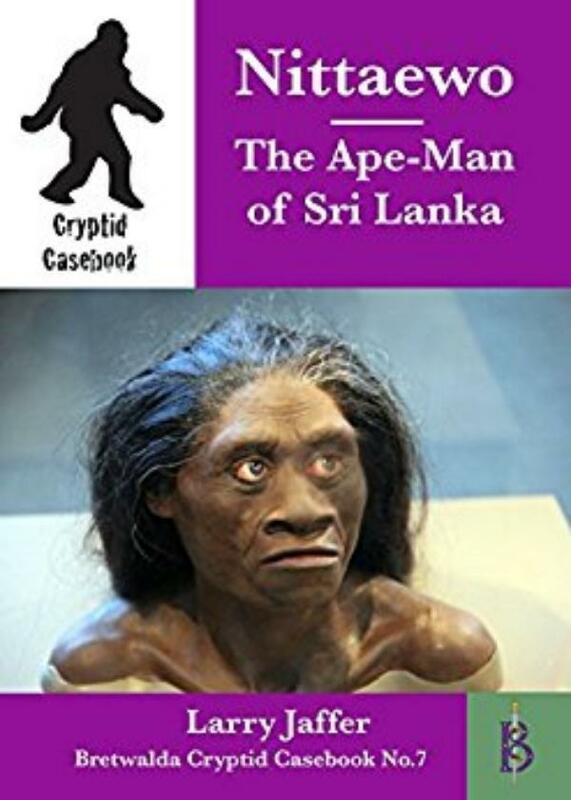 Then in 2004 startling new evidence came to light and the case for the Ape-Man of Sri Lanka has had to be seriously reviewed. Cryptids are animals, or plants, which are believed by some people to exist, but which have not been accepted as real by the wider scientific community. These cryptids are animals which have been seen, and sometimes photographed, but for which no definitive evidence has beenfound. This series of Cryptid Casebooks explores the world of the cryptids. Larry Jaffer has long had an interest in the fortean mysteries that surround us. He grew up in the Surrey when the Surrey Puma hit the headlines, and went out in search of that elusive beast - without success. Since then he has researched a myriad of other cryptids, including Sasquatch, the sea serpent, the Beast of Bodmin and others. He has also investigated UFO sightings and tracked down numerous ghosts and poltergeists. He has a voluminous archive of witness interviews, photos and other data to back up his writings on the subjects of the unusual, paranormal and downright odd.